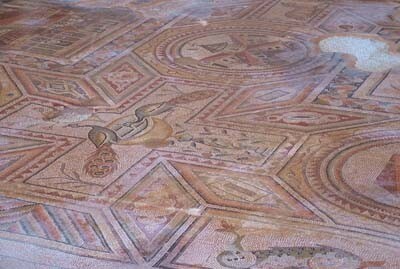 Hama governorate contains some of the most important mosaics in Syria, with around 50% of uncovered mosaics, most significant if which is “Tiba al-Imam,” a 600 square meters mosaic dating back to 242 AD. Another mosaic housed at Hama National Museum is the “Musicians” mosaic. This piece, measuring 4.25 meters by 5.37 meters, depicts six female musicians and two children, in addition to old musical instrument including an organ, cymbals, two flutes, a harp and an Indian musical instrument consisting of metal bowls placed on a table. In a statement to SANA, Professor of mosaic restoration at Athens University Stephania Chlouveraki underlined the strong composition and accuracy of representation in the Musicians mosaic, noting the small details such as attire, hair, braids, gentle smiles and wide eyes. Prof. Chlouveraki , who is a member of the team tasked with establishing a lab for restoring mosaics in Hama National Museum, pointed out that Hama governorate contains a very important mosaic dating back to 362/363 AD depicting Socrates with six wise men standing around him. This mosaic, which is displayed in Apamea Museum, was found beneath the Great Catherdal and Apamea. 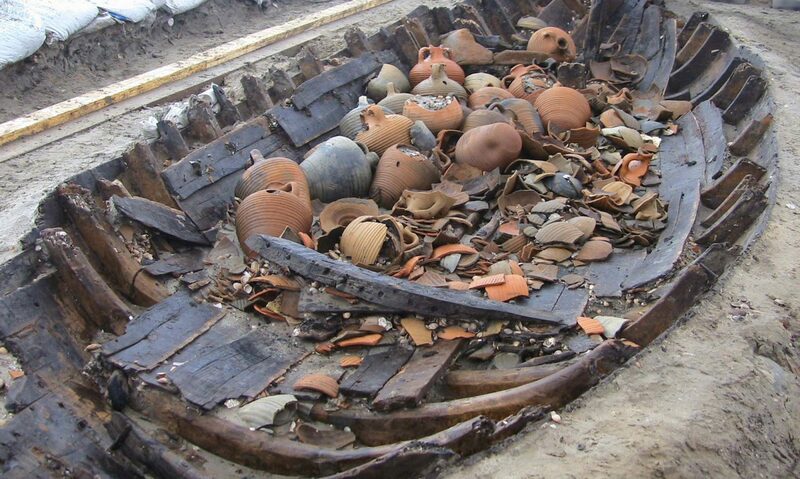 It reflects the connection that existed between the Syrian and Greek cultures. 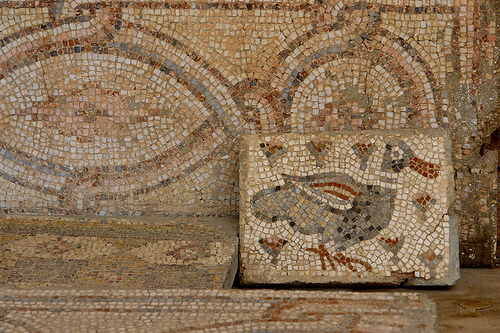 The professor went on to discuss other important mosaics at Apamea Museum, including a mosaic depicting a deer and another depicting a beauty contest between nymphs. The latter mosaic, dating back to 362/363 AD was found in Apamea in the Roman building on which the Great Cathedral was built. Prof. Chlouveraki said that Syrian mosaics are the richest and greatest in the world due to their sublime technique, wealth of human and natural subjects depicted in them, and their portrayal of lifestyles across various periods, underlining the skill of ancient Syrian craftsmen who were pioneer in this ancient art. She stressed that Syrian mosaics are rare and unique archeological finds, with their magnificent figures, enchanting designs, high level of precision and skill, and the decorative elements that represent important historic records and documents of various periods, adding that Syria has a considerable and important reservoir of mosaics. Regarding the project for documenting and resotring Mosaics in Hama Museum, Prof. Chlouveraki said the first stage of the project began in 2004 by documenting all mosaics in Syria, while the second stage which is currently underway involves establishing a lab for restoring mosaics in the museum that serves as a center for training Syrian archeological restoration workers and archeology students to restore and preserve mosaics. She pointed out that the project aims at spreading awareness on how to properly handle mosaics, adding that staff from the General Department of Archeology and Museum were trained last year in the latest methods for restoring mosaics, while training in 2010 focused on staff from Hama Department of Archeology, who worked on a mosaic dating back to Byzantine period, which will soon be ready for display. Ancient Syrian, Greek, Roman and Byzantine artist used colored stone or glass to make mosaics, depending on the location where the piece would be installed. Mosaics discovered across Syria depict a variety of subjects, with some depicting daily life and social, economic and cultural activities, while others depicted the beauty of nature or mythology.